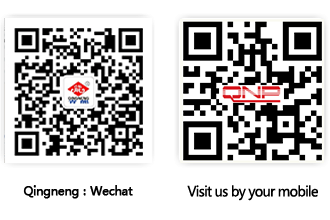 High Speed & High Efficiency Reaction Steam Turbine-General Instruction - High Speed & High Efficiency Reaction Steam Turbine - Shandong Qingneng Power Co., Ltd. 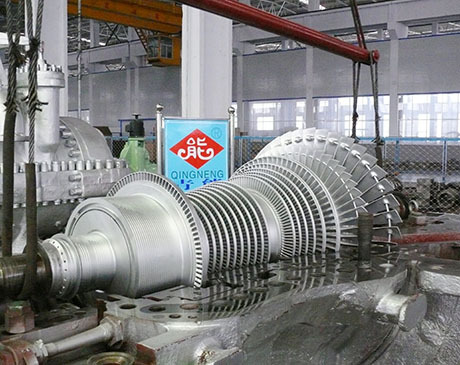 Comparing with turbine thermal calculation and practical usage, high-speed high-efficiency reaction steam turbine steam rate under rated working condition is 10~20% lower than normal speed steam turbine. Running under variable parameters, variable load, the reaction steam turbine has more advantages, even. 25% or more. Traditional steam turbine is fixed parameters model, the turbine are series products, ‘act according to actual circumstances’ type design and manufacture according to end user’s actual parameters and processing requirement cannot be executed. The end user only can choice one similar steam turbine or change some components. High-speed High-efficiency reaction steam turbine can design via optimum programming according to end user’s different standard or off-standard parameters and process requirements; design and manufacture reasonably through standard components and standard modules rational combination. The design working condition can 100% match client’s requirements and it is the real ‘act according to actual circumstances’, which shall achieve the best efficiency. 3. Differences of main components. High-speed High-efficiency steam turbine’s blades are narrower, smaller clearance between stages, more uniform distribution of enthalpy drop, more efficiency of thermal energy conversion, higher thermal utilization factor. Normal speed steam turbine bade need frequency adjustment and consider critical speed limited; High-speed High-efficiency reaction steam turbine is non-frequency adjustment blade and no limited of critical speed. Normal speed steam turbine’s rotor is shrunk-on structure, it is straight shaft, rotor is blade-disk structure, rigidity, kinetic performance, variable working condition adaptation are worse. Normal speed steam turbine has less numbers of impellers, only 1/3-1/2 of high-speed high-efficiency steam turbine. High-speed High-efficiency steam turbine’s various kinds of advantage make the operational reliability much better than normal speed steam turbine, lower failure rate, longer TBO, easier O&M, lower maintenance cost. Above differences of principle & structure between high-speed high-efficiency reaction steam turbine and normal speed turbine prove high-speed high-efficiency turbine has more advanced technology, especially lower steam rate, higher reliability. For the end user, high-speed high-efficiency steam turbine is the better choice. QNP’s 15MW condensing high-speed high-efficiency steam turbine, rotation speed is 8000r/min, internal efficiency was increased substantially. Under same inlet steam condition, the turbine can increase 770KW per hour. If steam turbine running time is 8000 hours/year, the end user can get more 6,160,000 kw·h per year. We calculate the price as 0.12 USD per kw·h buying from National Grid, then the end user can save 739,200 USD/Year.